The Birmingham Strategic Framework began as a series of lectures, developed by GA Studio, as a public awareness effort on the topic of urban development. 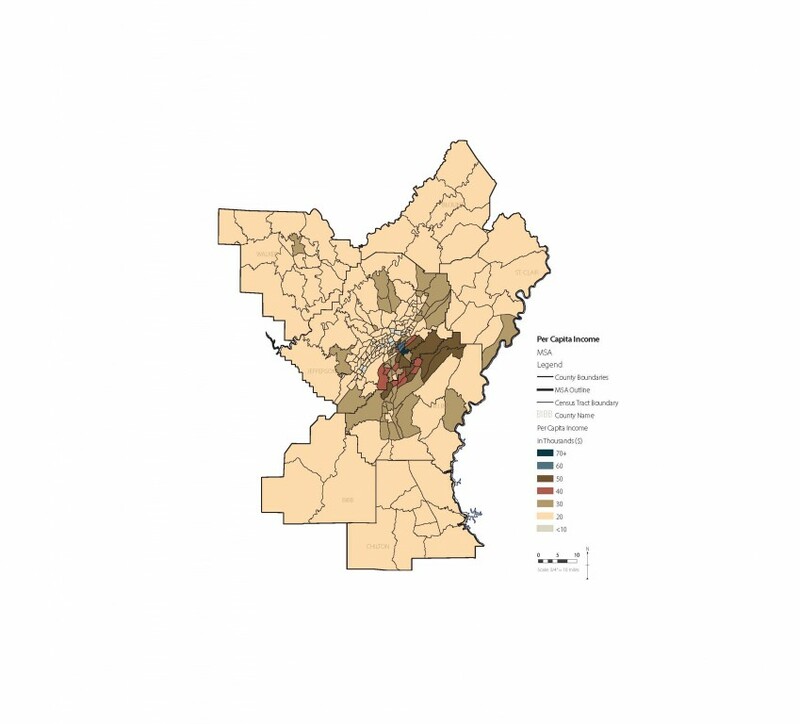 In developing these materials, the firm recognized a need for a toolset that allows the community to assess the challenges facing the Birmingham metropolitan area in a comprehensive way. One of the ways we address this need is through the development of a descriptive document of the urban condition that can be widely accessed by the public. Geographic Information System (GIS) data was used to create large scale, easy to understand base maps of the Birmingham area. These maps document the urban system in all of its myriad conditions, from infrastructure to environment to politics. The ultimate intent is to foster an awareness of the present condition of the city as a means to build consensus and promote collective action.